Some Luke Timothy Johnson for those who put too much stock in government. “… I do not agree with those critics of capitalism who make it the cause of all poverty, and propose instead of an economic system that promises to remove all poverty. People are widows and orphans because spouses and parents die; they are poor because of the vagaries of climate and topography, because of volcano and flood, because of poor choices and little talent, because of social collapse, war and revolution, because of injury and disease, because of psychological and cognitive incapacity, because of a lack of freedom and education. Economic systems — yes, forms of capitalism — can exacerbate such forms of poverty, but they do not of and by themselves exclusively create poverty. Nor can a structural change in an economy eliminate all these other causes of poverty. To think so is not to live in the real world” (144). 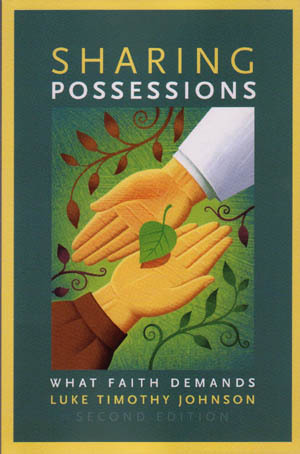 From Sharing Possessions: What Faith Demands. 2nd ed. Grand Rapids: Eerdmans, 2011.